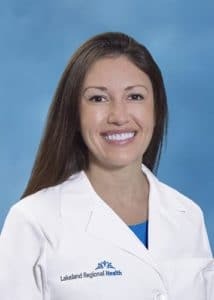 Guest post by Toan Nguyen, MD, and Vanessa Prowler, MD, breast surgeons at the Lakeland Regional Health Hollis Cancer Center. When you or your loved ones are faced with a diagnosis of breast cancer, the immediate focus is often on battling the disease without strong consideration for the quality of life after treatment – and understandably so. 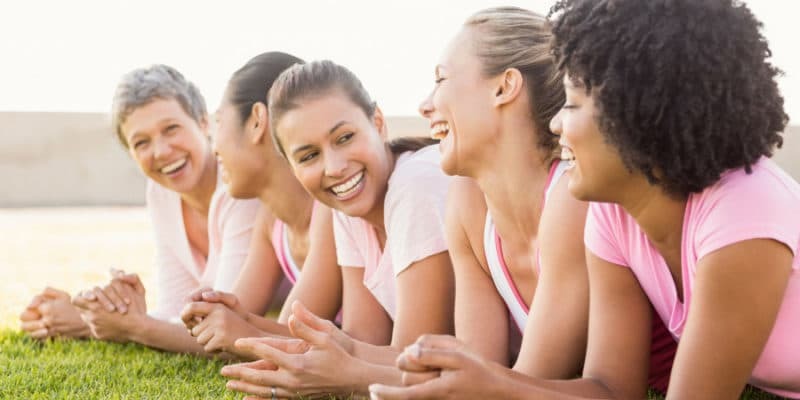 Our team wants to take that type of pressure off of you and your family, so our Breast Cancer Team at Lakeland Regional Health is committed to learning and providing the latest advanced treatments that will significantly affect your life after cancer. The cosmetic appearance of a scar, the functional symmetry of the breasts, and the impact of those on marital relations are often initially overlooked. Multiple studies show that survivors of breast cancer who have disfiguring or suboptimal scars often endure long-lasting negative emotional consequences and even relationship issues. In addition, ongoing medical advances in the treatment of breast cancer lead to survival for decades or even a normal lifespan for the majority of patients. Currently, breast cancer survivors exceed 3.5 million people in the United States and with modern therapy, this number significantly increases annually. This means many women live with a physical reminder of their diagnosis. Traditional surgical approaches for patients undergoing breast surgery often leave patients with highly visible and damaging scars. If radiation treatments are needed, long-term cosmetic outcomes are often more extensive. However, recent innovative technology combined with specialized “oncoplastic” procedures enables most patients who require breast surgery to safely benefit from optimal cosmetic results. Oncoplastic breast surgery is described as the use of an aesthetic approach combined with sound oncology principles. These advanced techniques greatly enhance the range of options that can be offered to women with breast diseases and facilitate better outcomes. Oncoplastic breast surgery should be the standard of care. Surgeons who perform these procedures often have advanced and specific training. Breast patients should ask their surgeons if they are candidates for an oncoplastic procedure and if their surgeon is comfortable performing it. Often, an incision can be placed precisely in less visible areas of the breast, with little or no disfigurement to the breast long-term. Surgeons who are committed to these techniques are often Hidden Scar certified, meaning they have additional training and use specialized equipment during surgery to safely perform the procedures. 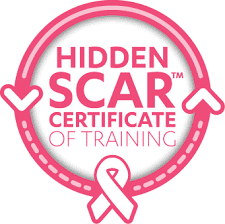 Both of us received the additional training to become certified in Hidden Scar® procedures. In addition to Hidden Scar, when patients undergo a lumpectomy (the removal of a breast lesion or cancerous lump), frequently the area to be removed requires a separate procedure to locate and mark the lesion. Traditionally, this involves wire localization – inserting a needle and wire into the breast on the day of surgery. Patient studies report that this wire insertion is associated with discomfort and inconvenience, increased anxiety, and reduced satisfaction. During travel to the operating room, the wire also can shift, leading to inaccurate localization of the area to be removed and potentially a greater amount of breast tissue that is excised unnecessarily, which can result in suboptimal cosmetic results. A wide range of superior technology has been developed and is currently available to make wire localization obsolete and at the same time enhance the patient experience. Lakeland Regional Health is pleased to now offer a wire-free experience using new technology for its breast surgery patients. There are multiple FDA-approved devices, all only a few millimeters in size, with material ranging from radioactive pellets, magnetic seeds, or non-radioactive reflectors (this is the technology used at Lakeland Regional Health) that can be inserted into the breast adjacent to the area of tissue to be removed. Depending on which technology is used, the surgeon will have the appropriate equipment to locate it during your surgery and remove it along with the lesion or the cancer. There are numerous studies showing increased patient satisfaction, better precision, and superior results when these technologies are utilized over wire-localization. To be able to offer a wire-free, non-radioactive option for patients undergoing lumpectomy is a game-changer for us in terms of safety and patient satisfaction, and at Lakeland Regional Health, we are continually dedicated to advancing the future of healthcare. Most patients undergoing breast surgery are candidates for the above-mentioned advances in technology and innovative procedures that focus on safety, better cosmetic outcomes, enhanced patient experience, and improved overall quality of life that can last for decades. Patients should not rush into having breast surgery without consideration of all the options available. Instead, they should discuss with their surgeons if they offer these leading-edge technologies for breast localization and if they are suitable candidates for oncoplastic surgery. We are dedicated to redefining and uplifting the standards of cancer care, walking with our patients and their families every step of the way: from diagnosis and treatment to enjoying life after cancer. Toan Nguyen, MD, and Vanessa Prowler, MD, are Breast Surgeons with the nationally recognized Hollis Cancer Center. Learn more about the Breast Cancer Program or call 863.603.6565 to make an appointment. Dr. Prowler is one of the lead authors on the initial, multi-institutional study regarding the use of the SAVI SCOUT technology in 2016, published in the journal Annals of Surgical Oncology. 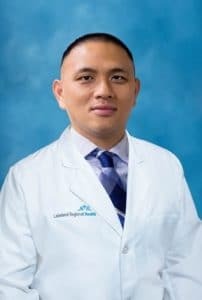 Dr. Nguyen serves as Medical Director for Breast Oncology for Lakeland Regional Health.